The DLS provides an opportunity for alumni, parents, community, faculty and staff to support the school at various commitment levels, while receiving special recognition and opportunities to engage in the school’s growth. 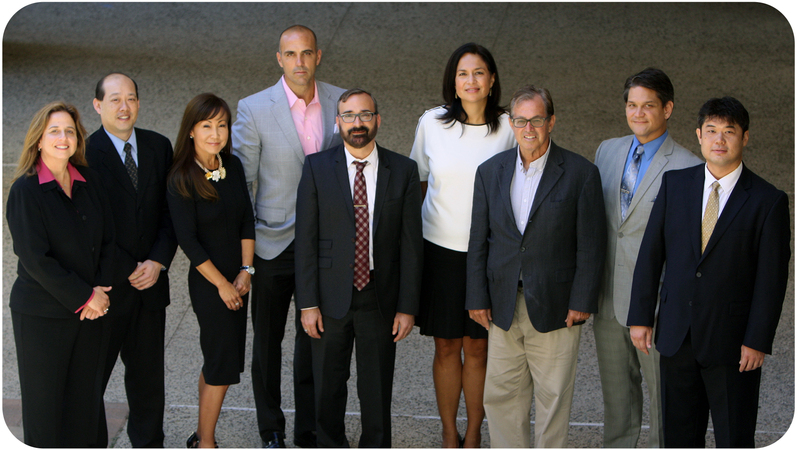 Members join an influential network of supporters and like-minded individuals who are deeply committed to enriching the UCI social sciences and university’s national prominence. Gifts to the DLS support specific projects determined annually in consultation with DLS chairs and its Executive Committee. Past gifts have supported scholarships for UCDC students, funds for faculty retention, and renovation and naming of a classroom used by social sciences’ student groups. Members that joined as Charter Members in 2014-15 received a brick in their name in the plaza outside of Social Science Plaza B, adjacent to the student activities room. Pictured: Inaugural members of the DLS at the future brick-naming site, 2014. Founded in fall that same year, the DLS had 64 members at the close of 2015. To learn more, please visit the Dean's Leadership Society website, or contact Liz Dahl, dahle@uci.edu, directly.